OXENFREE is a mind-bending supernatural thriller about a group of friends who open a ghostly rift. 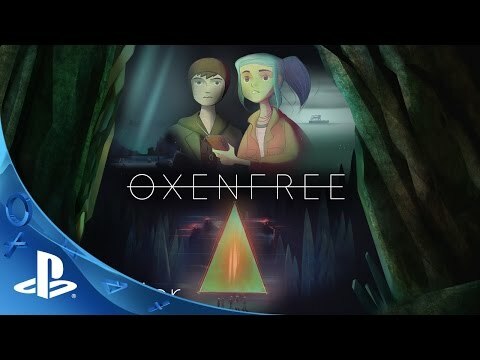 In OXENFREE, you play as as Alex, a bright, rebellious girl who brings her new stepbrother Jonas to an overnight party on an old military island. The night takes a terrifying turn when you unwittingly open a ghostly gate spawned from the island’s cryptic past. You'll explore a mysterious island filled with a huge variety of story paths that let you shape Alex's life, the fabric of time and space, and the fate of the forgotten ghostly creatures terrorizing you and your friends. What begins as a party-fueled night with friends off the coast of your hometown quickly morphs into a terrifying, time-looping adventure inspired by real WWII events. Forge authentic bonds with a cast of fully realized friends and enemies during the overnighter from hell. An intelligent conversation system that changes the story and your relationships based on every decision means your Alex can be as emotionally layered as you want. A unique radio mechanic allows Alex to communicate with mysterious spectres and manipulate the world around her. Get lost in the IGF Award Winning artistic design from Disney alum, an original soundtrack by scntfc (Sword & Sworcery, Galak-Z), and vocal talent from The Walking Dead and Borderlands.